Call the luxurious mountain retreat at the Residences at Park Hyatt Beaver Creek your vacation home each and every year with affordable timeshare resales and rentals. 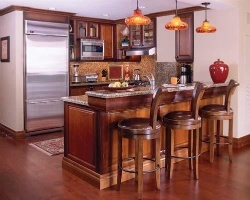 Browse available units today with SellMyTimeshareNow.com. Located at the bottom of the majestic slopes of Avon, Colorado, the Residences at Park Hyatt Beaver Creek offers a complete and luxurious vacation experience. 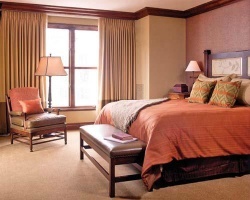 Incorporating an upscale European-style design with effortless convenience, the Park Hyatt provides the best in accommodations in the Avon-Beaver Creek area. On-site, you'll find expertly-maintained resort grounds that offer a variety of on-site amenities available to you. From the state-of-the-art fitness center to the delicious fare at the 8100 Mountainside Bar and Grill, you'll have everything you need to enjoy your vacation in Colorado. The residences at the Park Hyatt Beaver Creek feature gorgeous two and three bedroom condo-style units, ensuring everyone in your group has enough space to be comfortable for the duration of your stay. 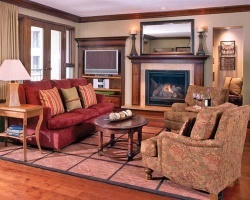 Perfect for families and other large groups, the Beaver Creek Park Hyatt can house up to eight people. Common in-unit amenities include gas fireplaces, fully-equipped kitchens, and other modern furnishings that will let you know you've arrived at vacation. Are you ready to explore the vacation ownership possibilities at the Residences at Park Hyatt Beaver Creek? Fill out the form on this page to learn more, or call a representative today at 1-877-815-4227. Buying a timeshare resale at the Residences at Park Hyatt Beaver Creek can enable you to save thousands of dollars on the same great vacation ownership opportunities offered directly by the resort. Timeshare resales are sold by current timeshare owners, and not the resort itself. This means prices for the same accommodations can be up to 70% lower than retail costs, giving vacationers like you the chance to save big and vacation even bigger. Resales at the resort come in the form of deeded fixed and floating weeks, giving you a variety of options to choose from when searching for a timeshare. Using the secondary market, you'll be able to find specific unit types, price points, and ownership intervals that match your vacation preferences. Additionally, a timeshare resale at the Park Hyatt could also be your ticket into the Hyatt Residence Club. The Park Hyatt Beaver Creek is affiliated with the Hyatt Residence Club, one of the world's most popular timeshare brands. As a timeshare resale buyer, you'll be able to enjoy many of the club's exclusive perks immediately—you'll have the opportunity to choose your ownership style between Hyatt points and Hyatt weeks, and you can also exchange your Avon accommodations internally with other Hyatt resorts. While you won't be able to use Hyatt Gold Passport points to book stays at Hyatt hotels, you'll still find a world of great benefits to take advantage of at the Park Hyatt Beaver Creek and other Hyatt resorts around the country. The Park Hyatt at Beaver Creek is also affiliated with one of the world's best and most popular timeshare exchange brands, Interval International. As a Hyatt timeshare owner, your Interval International membership is automatically covered as part of your club dues, meaning you can start exchanging your accommodations right away. Simply deposit your accommodations into the Interval exchange network and trade for stays at other resorts all over the world. Additionally, the Park Hyatt is an Elite rated resort, noting its superior accommodations and amenities. The Residences at Park Hyatt Beaver Creek offer a stunning array of on-site amenities and services geared toward improving your vacation experience. Take a dip in the heated outdoor swimming pool or one of the five hot tubs that make up the swimming complex. Enjoy the resort's ski-in, ski-out location and walk to the Peak 8 ski lifts just minutes away. Wintertime visitors will also want to utilize the ski valet and expert concierge services available at the resort. 8100 Mountainside Bar and Grill is the perfect location to grab a bite to eat, while the Allegria Spa and Fitness Center is available for you to recharge. Don't forget to also take advantage of some of the resort's exclusive services, like the free valet parking, the S'Mores Happy Hour socials with live entertainment, and the kids-only activities at Camp Hyatt. Around the resort, you'll have the entire Beaver Creek area to enjoy. Ski the slopes at Peaks 8 and 9, or travel a few minutes east to Vail to hit the slopes there. Summertime visitors will love the natural paradise that the Rocky Mountains offer, with plenty of hiking trails to explore and take amazing photos. Visit the Beaver Creek Golf Course to play 18 holes, or embark on one of the Park Hyatt's fly fishing excursions. 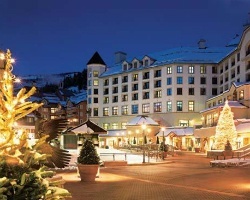 Already Own at Park Hyatt Beaver Creek?